IN response to increasing market demands, leading online supermarket in Nigeria, Gloo.ng, has launched a two-hour express delivery service. Gloo.ng said besides the need to meet increasing market demands, the new market proposition is also targeted at promoting the happiness of busy homemakers. According to the Chief Executive Officer, Dr. Olumide Olusanya, the service is unique and first in class in Nigeria. He said the express service extends the convenience of Gloo’s award-winning same-day service (typically used for monthly stock-up purchases) to last minute, emergency or unplanned purchases. Olumide explained that the system is built in such way that these conditions are verified at the point of checking out; stressing that only orders that meet the above conditions will see the “2-Hour Express Service” option presented as part of the delivery options on the checkout page. He added that all a customer needs to do is select this option as delivery method if he or she wants to use the 2-Hour Express service. “Your ordered goods will be delivered within 2 hours of us sending you a Delivery Advice Confirmation message. The 2-Hour Express service attracts a N999 express delivery fee and payments are prepaid before an order is processed. The 2-Hour Express service attracts a N999 express delivery fee and payments are prepaid before an order is processed. According to him, since the service is still in beta phase, “we are presently limiting it to delivery locations on the Lagos Island. 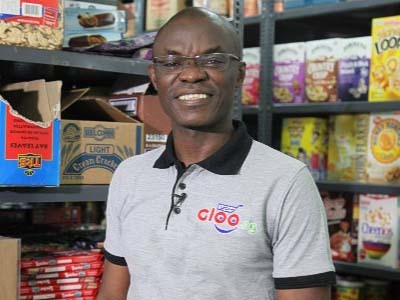 He also used the opportunity to expatiate on Gloo.ng’s purpose to “redefine and own the word ‘supermarket’ in Nigeria” and the vision to “be The Biggest Nigerian Supermarket,” ultimately giving busy homemakers, irrespective of clout or class, no single reason to visit a brick-and-mortar supermarket or and open market in any Nigerian city.